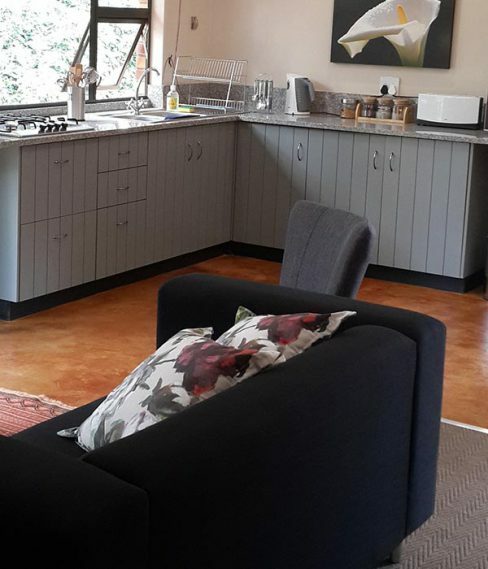 Touching indigenous Afro-montaine forests on the crest of the majestic Magoebaskloof pass and situated in the grounds of our organic avocado and raspberry farm, rest the self-catering studio style farm guest cottages. 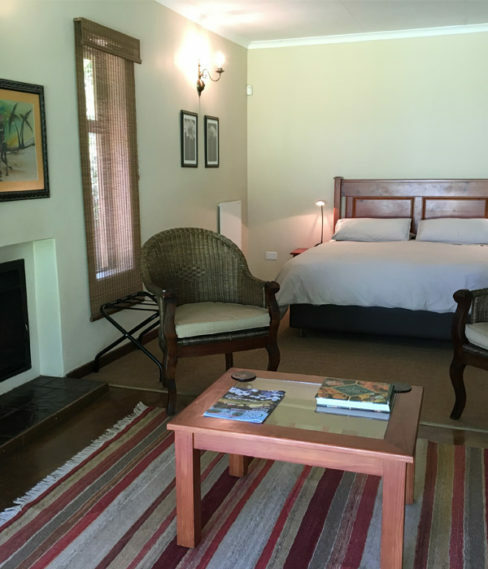 Each of the two cottages comprises two self-contained, fully furnished double (or twin beds) studio style units, each sleeping a max of two guests. Each unit comes with its own en-suite bathroom including a heated towel rail. Serviced daily, each unit is tastefully furnished with easy chairs in front of a wood-burning fireplace and a fully equipped, quality kitchen. A new addition is a charming family unit with all the trimmings of the other four units, plus a small separate bedroom with a bunk bed to accommodate two children under the ages of 10. Although self-catering, guests are provided with provisions for self-cater breakfast. In all Units as well as in the Coffee Shop. Any cancellations or amendments to reservations are to be requested and confirmed in writing. We reserve the right to charge a cancellation fee.